"The KKE group at the European Parliament voted against the unacceptable and provocative common resolution of the European People's Party, Social Democrats and Liberals which, consisting another intervention in Venezuela's internal affairs, asks for the postponement of the upcoming elections in this country and the conduction of them under the rules set by the EU. 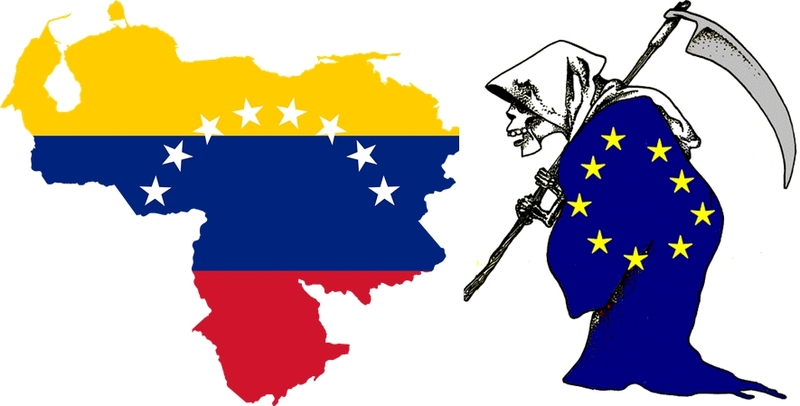 The resolution consists another link in the escalation of the EU's imperialist aggression against this country's people, aiming at the promotion of the positions and interests of the european monopoly groups in the broader region of Latin America. The European Parliament has worthily gained the role of “flag-bearer” of all imperialist interventions and wars of the EU and her allies, the USA and NATO, in Afghanistan, Yugoslavia, Iraq, Libya, Syria, in all over the world. It legalizes and whitewashes all the imperialist crimes under the- known to the people- hypocritical pretexts about “democracy” and “human rights”. The KKE does not recognize to the imperialists, to the EU and her bodies, which lead the interventions, the wars, the bloodshed of the people, to pretend the “defender” of the people's freedoms and rights, to intervene in the internal affairs of other countries. The KKE express its consistent solidarity to the working people of Venezuela and defends their right to decide themselves for their own interests”.